Key components of Mainland Civil Engineering’s work on the Cove Apartments in Harrington Street Sydney included bulk excavation, shoring and underpinning as well as quarrying yellow block sandstone. Construction of the Seidler-designed, residential high-rise involved excavation beneath the heritage-listed St Patrick’s church hall. Confined areas around St Patrick’s underpinning structure were not only a construction constraint, but a serious safety hazard. It was an extremely small area in which to operate machinery. Vibrations from such works could have also potentially damaged the historic hall and nearby buildings. 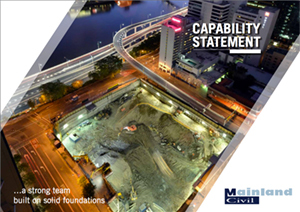 In recognition of Mainland Civil Engineering’s protection of the underpinning structure and successful completion of the project without incident and to the satisfaction of the client, the Cove Apartments were awarded a 2003 Case Earth Award for Construction Excellence.